May you remember you are enough just as you are. May you connect with the light within you and move from the wisdom that rests there. May you let yourself be open to all that is to come. May you feel the bravery that lives deep inside and let it lead you. May you trust that you are loved even when, always when, things don’t go as planned. May you know in every one of your cells that you are whole. These words are the reason why I created The Secret Message Bracelets. Because I want you to hold onto your truths no matter what. Because I want you to whisper these words to yourself until they’re tattooed on your heart. Because I want you to know you’re not alone over there. Why a secret message? 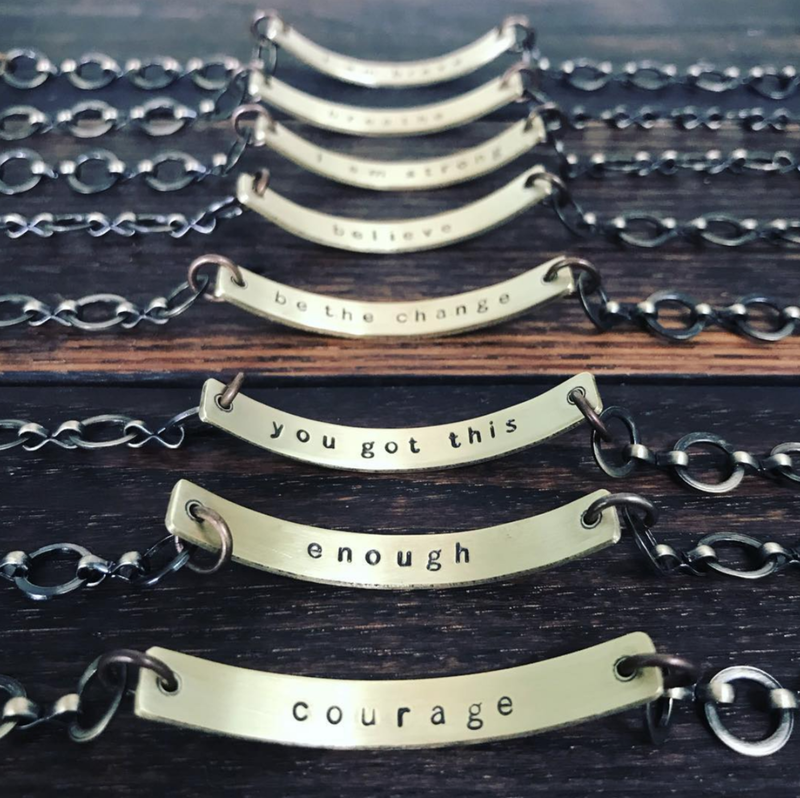 Because sometimes you want to wear words close to you that only you know about, so these secret message bracelets are hand stamped on the inside of the bracelet with the “I am” message you most need. You can also choose one of our other favorite Soul Mantras or customize with your own phrase. To the outside world, you’re simply wearing a very sweet bracelet. But you know the truth you’re holding close to you. I can’t wait to send one with love from my little studio right to you. 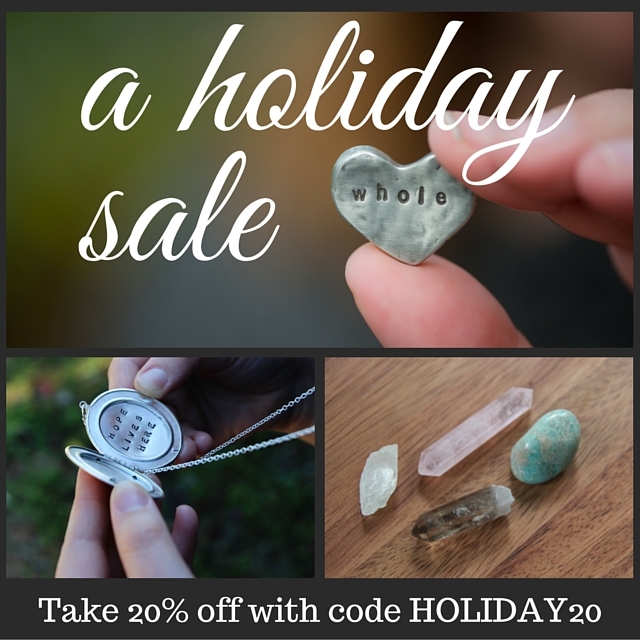 Find them right here in the Soul Mantras shop. You can also customize them with the words you most need, and we can stamp words on both sides to represent The And Space. For the last three weeks, my assistant Bonnie and I have been busy every weekday in the studio hammering and packaging and singing along with Mumford and Sons and Adele and soaking up all the stories that arrive with the word of the year orders. This year it's been all about the hearts. The pocket talismans I create are one of my favorite things because they invite you into the mindfulness of having a mantra or word that guides you. You can hold them in your hand, put them next to your bed, place them on an altar, and even have them at your desk at work. They become a tangible connection to your word. And they've become one of the most popular items I've ever created. You can find the customizable talismans here and the other phrases I carry regularly right here. I hope your 2016 is continuing to unfold with light and love. Ten years ago, I created my own little corner of the Internet that I called "Be Present, Be Here." I was in the middle of my first experience with really deep grief while also studying yoga and mindfulness as part of a two year yoga teacher training. The name came out of a strong desire to live my yoga each day, to practice presence in the world filled with distractions while also beginning a journey of finding my voice. These ten years have cracked me open and through it all I've found my way with the stories, connection, and community my blog has given me. 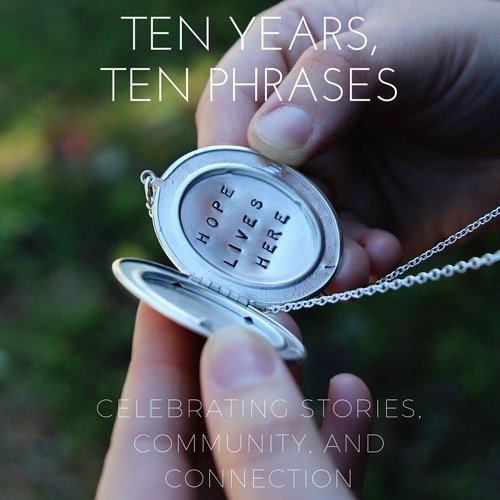 To celebrate these ten years, I've created the "Ten Years, Ten Phrases" collection, which is full of the ten Soul Mantra phrases that have been handholds for me during this time. There's a little story behind each piece, and I'm going to share them here in this space over the next few weeks. 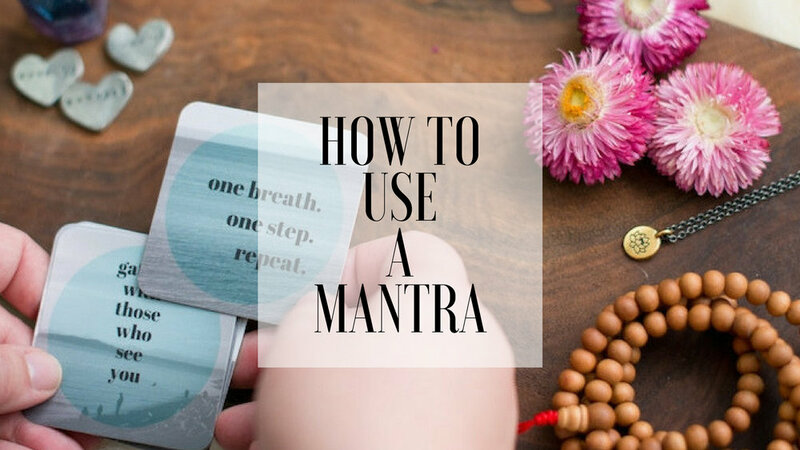 You can find all the Soul Mantras from this collection right here. Thanks for finding your way here. My hope is that these phrases become handholds for you too as life takes you on it's awesome, sometimes messy, beautiful journey. 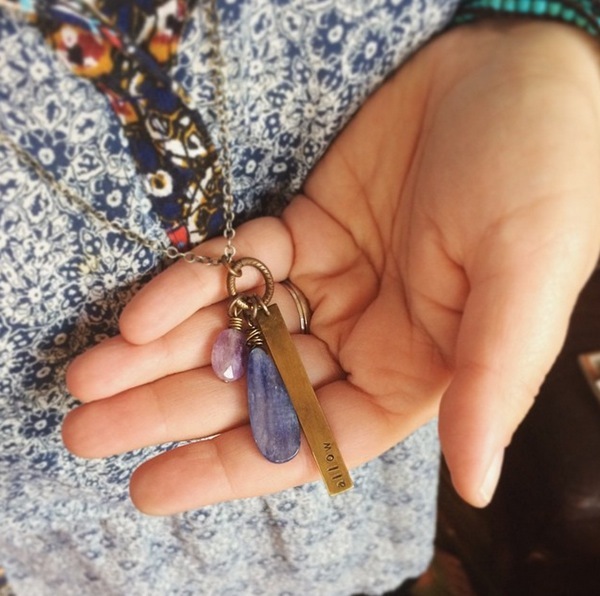 The "My Practice" necklace is your chance to think about what you currently want to invite into your life and claim it with a hand stamped word paired with kyanite and amethyst to really support you as you stand tall in the life you want to live. This is the necklace I've been wearing for the last few weeks. Mine is hand stamped with the word "allow," which has become one of those words that keeps appearing in my life. Allowing all the feelings. Allowing for the possibility that I can choose to make little moves each day toward the life I want. Allowing those around me to show up as them just as I want to show up as me. Allowing for more abundance, more love, more in-person connection, more community. 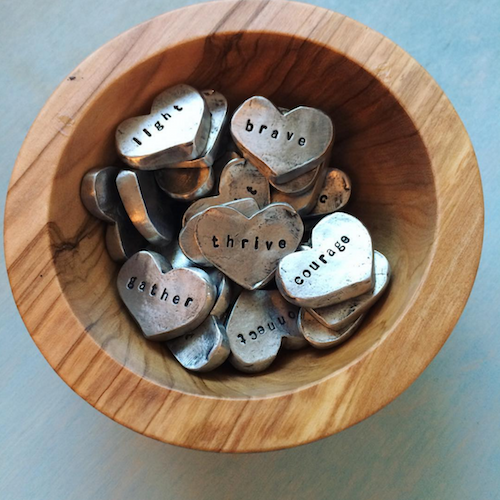 When you order this necklace, you choose a word that represents your current practice. Yes, this could be your word of the year, but it could also be the soul care practice you're calling in right now or even just the feeling you most want in your life. Perhaps you have begun to notice, like I did, a word that keeps appearing again and again and is almost demanding that you pay attention, so you feel called to bring it into your life in this tangible way. 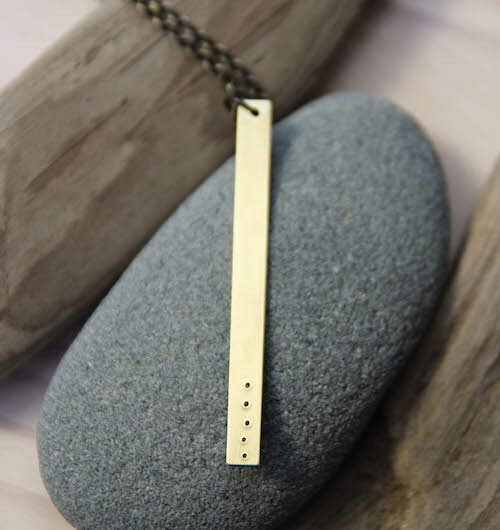 After I hand stamp you word/short phrase on this brass bar, it is then paired with a gorgeous wire wrapped kyanite teardrop gemstone to invite in clear communication and to help you speak whatever you need to say as you live this practice. 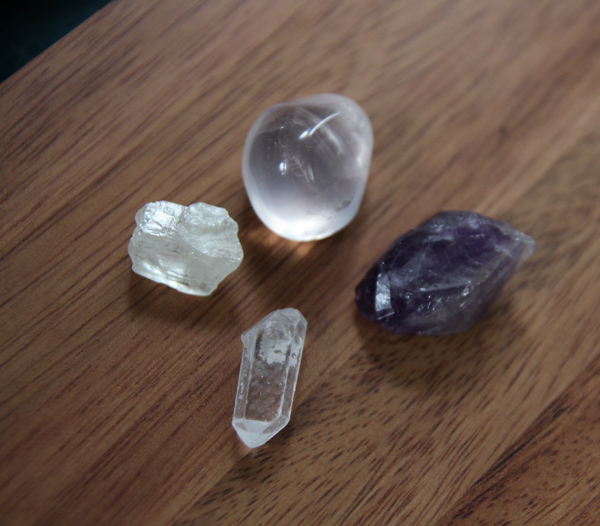 And a sweet little faceted amethyst is added to invite in a sense of balance, peacefulness, and calm. These three special pieces hang from a thick brass jump ring to give you a gorgeous focal point for your practice. I imagine you reaching for this necklace and holding it when you need to be reminded that you know the next step you want to take. Yes yes yes. You can find the limited edition My Practice necklace right here. I'm having some fun over on the Soul Mantras Instagram feed today. Yes, Bonnie and I started a special Instagram account just for the Soul Mantras and every now and then we're going to have special sales. And weekly, we're sharing peeks into the studio and first announcements about new designs. We also have sample sales from time to time too. This special sale runs through tomorrow (Tuesday). I hope you find something for you or for a loved one. And we'll be shipping so things get to you in time for Mother's Day!! Come on and follow us over here! Over in my shop, I'm having a spring sale! Just use coupon code SPRING15 to take 15% off your order from now through Sunday evening.